This solid wood 12" x 16" picture frame is an excellent value. Frame Width is 3/4". Includes glass and backing. Comes ready for wall mounting. 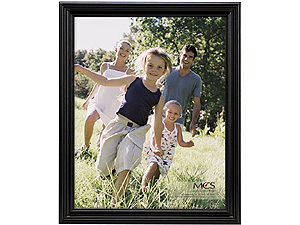 This solid wood 12" x 16" picture frame is an excellent value.